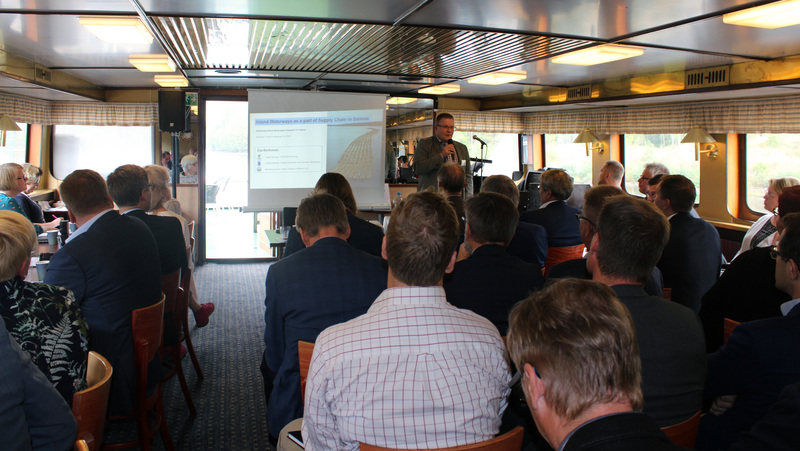 The will to enhance inland waterway transport is strong around the Baltic Sea Region. However, action must be taken on many fronts to increase awareness and the share of inland waterway transport – whether it is a matter of politics, regulations, pricing, creating new business models or designing more sustainable ships. 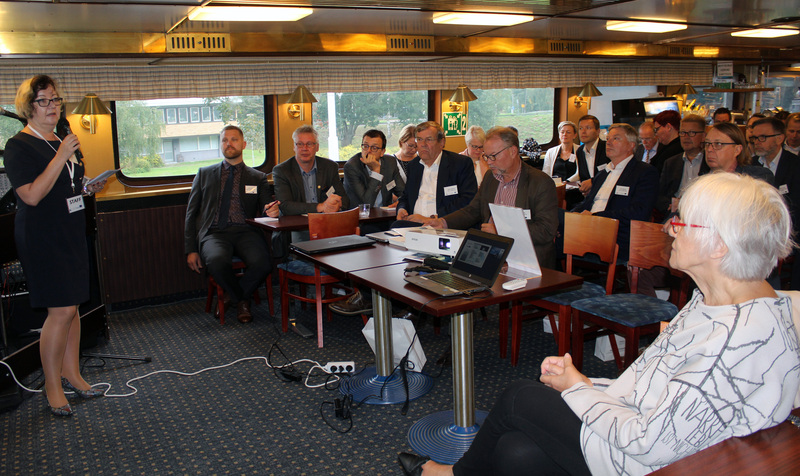 This became clear during the seminar cruise from Lappeenranta to Vyborg along the Saimaa canal. 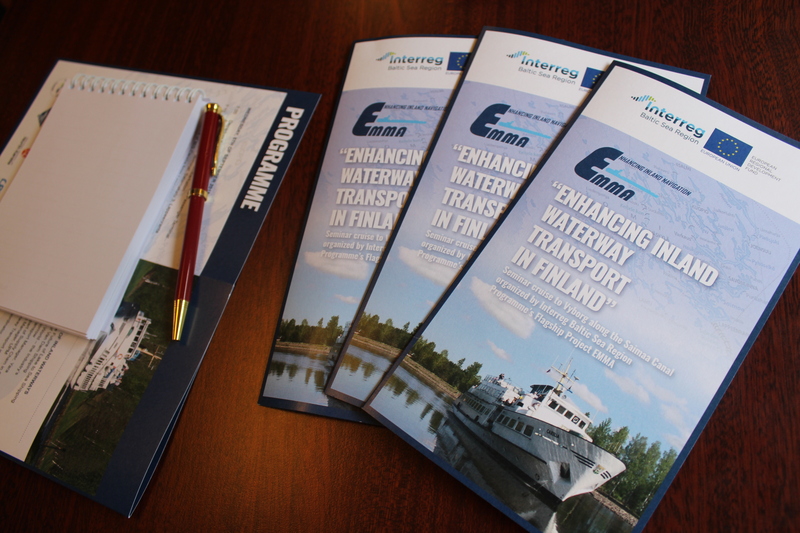 The seminar was organized by the Interreg Baltic Sea Region Programme’s Project EMMA, which aims to enhance inland navigation in the Baltic Sea Region. 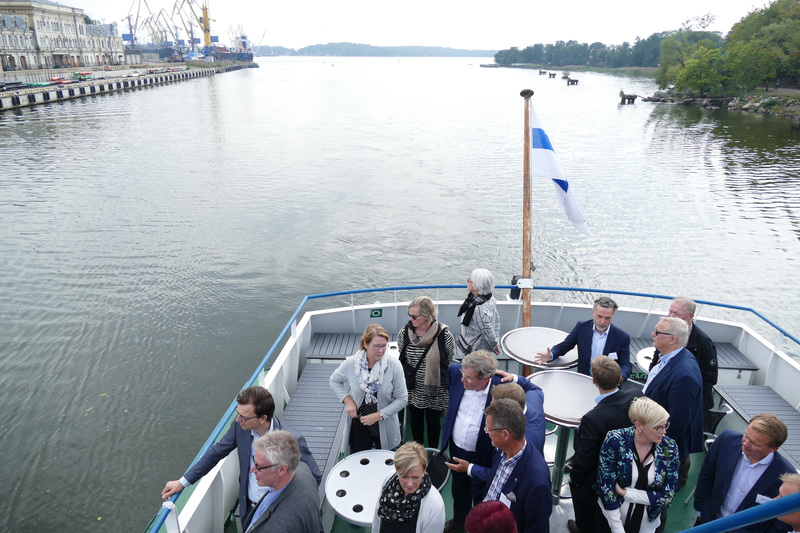 Around seventy international and national stakeholders boarded M/S Carelia in Lappeenranta to discuss the development of inland waterway transport and the market prospects for sustainable inland shipping in the Baltic Sea Region. Among the participants were Members of the Finnish Parliament and its Transport and Communications Committee as well as representatives of business, shipping, industry, ports, cities, national and regional administrations, research centres and media. 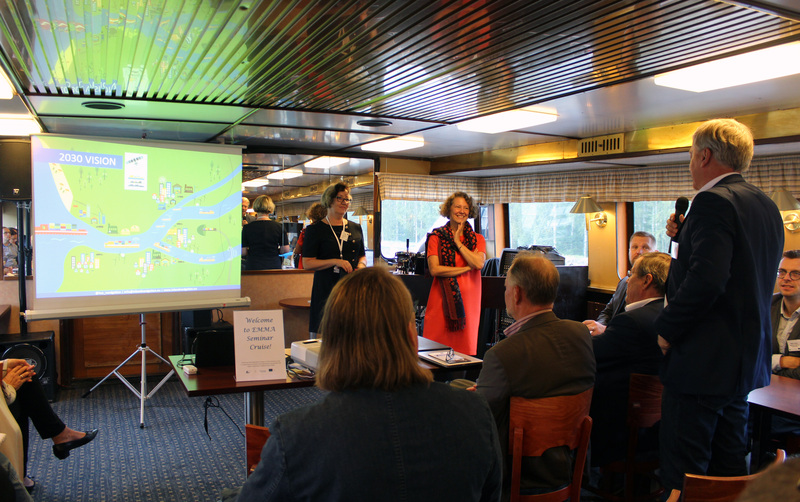 The cruise was organized by the three Finnish EMMA partners: Finnish Waterway Association, Lahti Region Development LADEC and Regional Council of North Karelia. Karin De Schepper, Director of Inland Navigation Europe, reminded that in the Central Europe congestion causes serious problems for transportation. EU waterway transport policy aims for a better use of inland shipping to relieve heavily congested transport corridors. In her speech De Schepper emphasized the larger societal and economic return of inland shipping, since enhancing inland waterway transport develops also communities and regions. “Traffic jams are a huge problem in the Central Europe. Inland waterway transport is reliable and the only mode of transport with spare capacity. There are plenty of waterborne trade opportunities since most people in the European Union live near to coast or in main river valleys”, said De Schepper. In Finland and Sweden congestion is not a huge problem but the strong will to achieve the climate goals is a major reason to increase the use inland waterway transport and to make it a more attractive choice. “The future development calls for a change. Our govenrment’s ambition is to promote a modal shift from road to sea and to rail for long-distance transport”, confirmed Björn Garberg, Strategic planner at the Swedish Transport Administration. “Every sector needs to reduce emissions a lot. Shipping is the most environmentally friendly way of transporting goods if we compare carbon dioxide emissions between different modes of transport. Shipping is efficient, safe, and does not create noise where people live. Thanks to shipping there will also be less need for land-based infrastructure”, Operator Esko Pettay from Meriaura Group said. The use of inland waterways varies from country to country due to historical and geographical reasons. 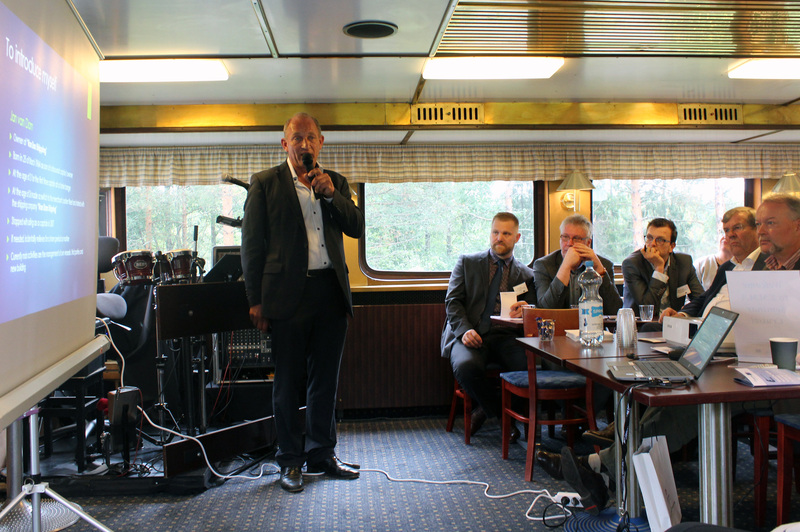 Esa Korhonen, Logistic manager at UPM, told international guests about floating, which is a diminishing but very efficient transport mode in Finland. However, in the European level floating is not even counted as a mode of inland waterway transport. During the seminar the status quo and the future visions and plans were shared from EU level to single countries. In Finland, 2 million tons of freight is transported yearly via the Saimaa Canal, and there are plans to improve the IWW infrastructure in the canal. 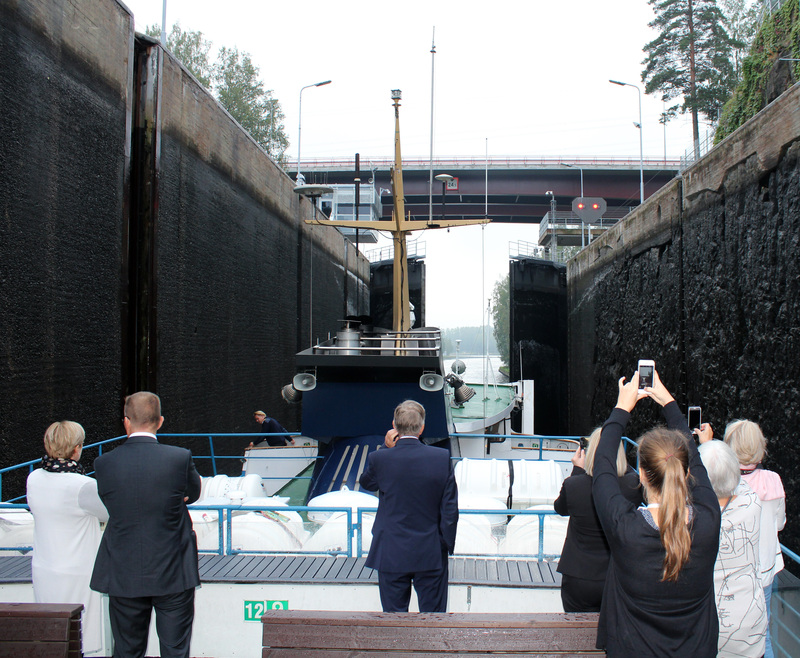 The lower lock gates are being renewed and the future plans include having a year-round traffic inside Lake Saimaa and lengthening of the annual activity in Saimaa Canal from 9 to 11 months. This would cut down industry’s rerouting for other traffic modes during the winter. 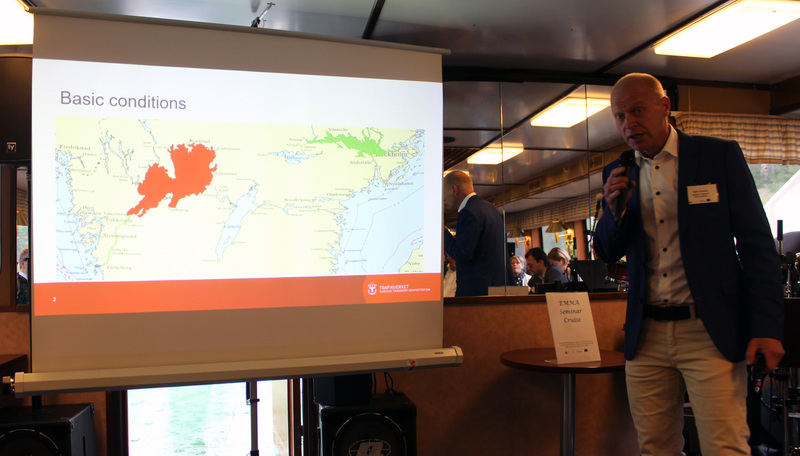 ”Year-round traffic is also a lifeblood of many port operators”, said Ilkka Leino, Marketing Director at EcoPorts Finland. 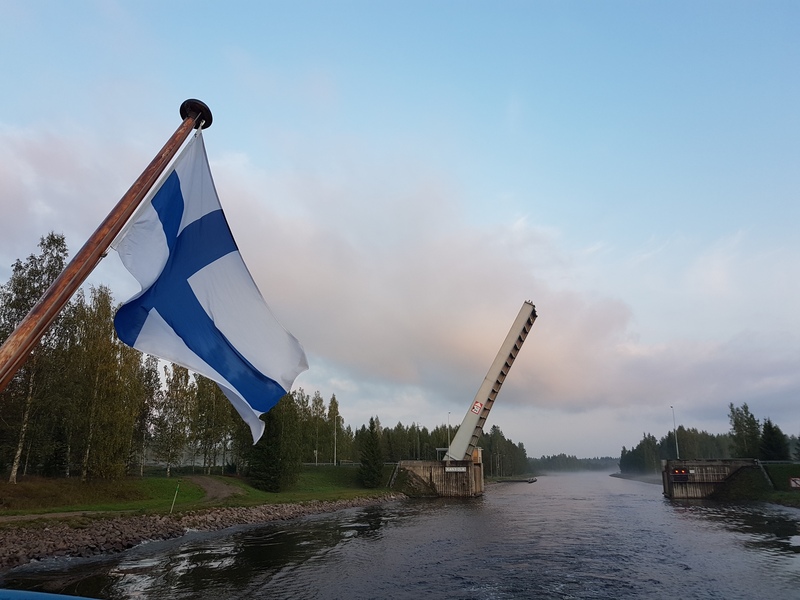 Raising the water level in Saimaa Canal by 10 centimetres would enable the current vessel fleet to take more cargo per vessel, whereas the lengthening of all eight locks in the canal would provide an opportunity to enter Saimaa with bigger vessels that now operate in the Baltic Sea. This would also give a positive signal to shipowners to plan the financing and building of new vessels that are suitable for future dimensions of the Saimaa Canal. Heavy industry located in the Saimaa area consider the IWW transport as environmentally-friendly and cost-effective, and canal is currently an essential part of the transport system in the Eastern Finland. Integrating a waterway into the TEN-T network would advance investments, since a lot of financing is directed to core network corridors. This, on its behalf, would support further investments in industry.